Bluestar is lending its support to Waterside Street Pastors - an important local service aimed at helping those who find themselves in need of emotional or practical support whilst on weekend nights out. The bus operator is keen to highlight the work that Pastors carry out to help keep late night revellers safe and sound. “Waterside is a popular destination among visitors and local people - not only during the daytime hours but also in the evenings, especially at weekends,” said Bluestar head of communications, Nikki Honer. 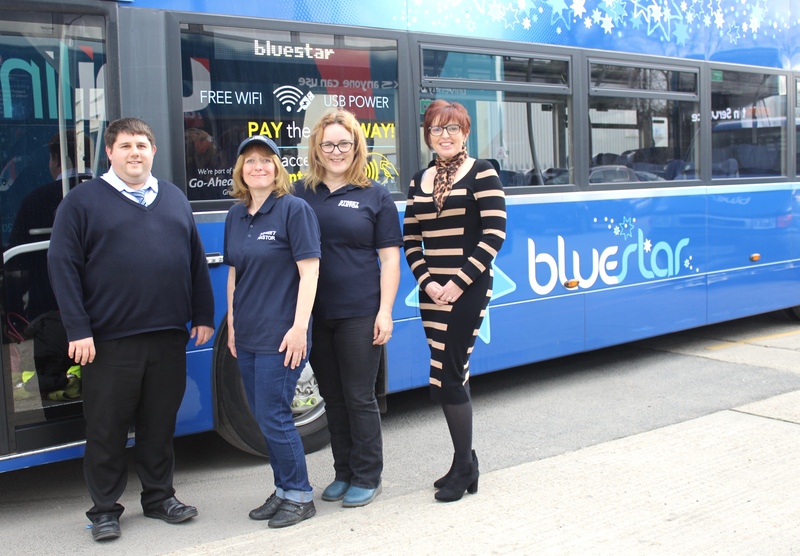 “We recently launched the Bluestar Community Fund - offering local good causes support through funding or complementary travel. The Waterside Street Pastors applied for our help, and we were delighted to provide them with money to train new members of their team. The Pastors are Christian volunteers who go out onto the streets, listening, talking and providing practical support to those in need. For more information about Waterside Street Pastors, please visit the Waterside Street Pastors Website.